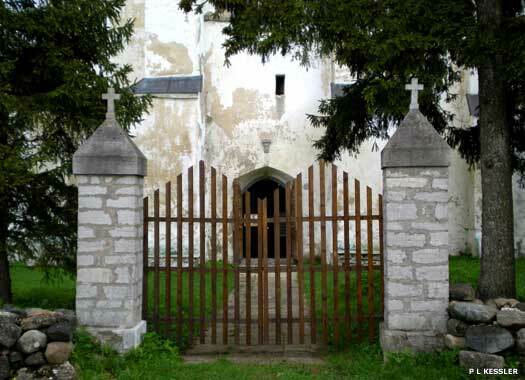 St Matthew's Church (Matteuse kirik in Estonian) is in Harju-Madise, about thirty-three kilometres west of Tallinn in the parish of Padise. 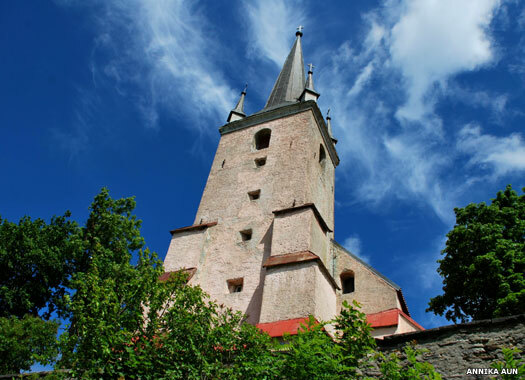 The first church here was established in the thirteenth century, shortly after the Danes conquered North Estonia. 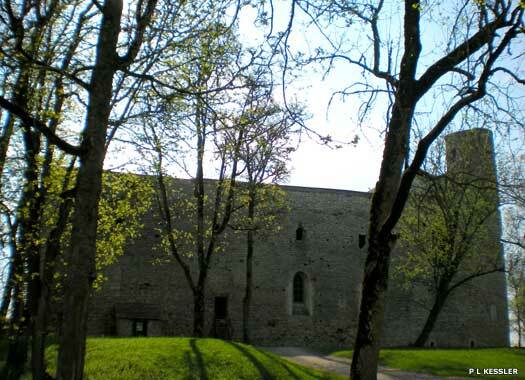 The first stone building was constructed in the fifteenth century after the region had passed to the Livonian Knights. As the church is situated high on the shore of Pakri bay, the tower has also functioned as a lighthouse. The church gained its current appearance between 1760-1780, when it underwent extensive reconstruction work. A century later, the tower's height was extended to its current level, supported by a triple-stepped buttress at its base. The neo-Gothic spire at the top mimics the great spire of St Olaf's in Tallinn, and was erected in the second half of the nineteenth century. A fire in 1968 destroyed it, but fortunately it was later restored. Padise Monastery (Padise Klooster) lies immediately west of Rummu. Padise Stronghold, nearby, was a seventh and eighth century Middle Iron Age hill fort. In 1220 the Dünamünde Cistercian Monastery in Riga was granted land here in compensation for helping to Christianise the locals after the conquest of Estonia. A stone chapel probably went up first, but the entire monastery moved here from Riga in 1310 and a large, fortified monastery complex was built from 1317. The St George's Night Uprising of 1343 saw the monastery burnt down, but it was quickly rebuilt and by 1400 was at its peak. 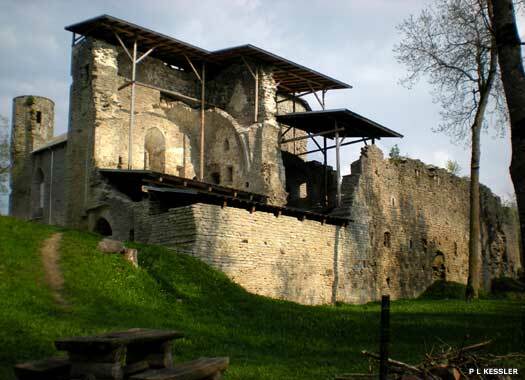 Decline soon set in, and although the Lutheran Reformation of the 1520s passed it by, the Livonian Wars of 1558 saw it seized by the Livonian Knights and turned into a fortress. It changed hands at least twice before the Swedish retained it. It was turned into a manor house until 1766, when it was struck by lightning and burned to the ground. The Church of the Holy Cross (Püha Risti kirik) is on the edge of the hamlet of Harju-Risti in western Harjumaa. 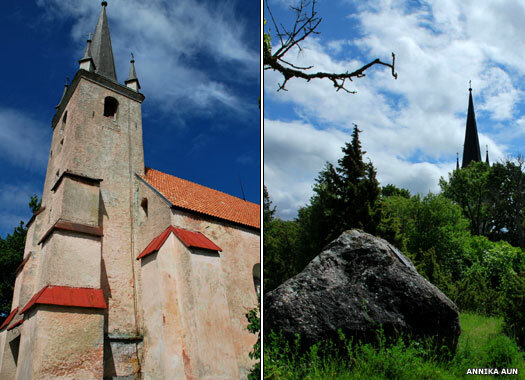 The church was built in the fourteenth century at which time it belonged to Padise Monastery (see above) and was probably known by the German form of its name, Kreuz. It has the massive walls typical of a medieval stronghold church, and a choir room and vaulted nave which radiates from its four pillars, a copy of that in the underground chapel at Padise. 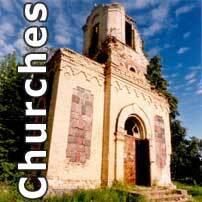 The church reached its final, completed form in the fifteenth century. The original west tower was more rounded, but half of it collapsed in the seventeenth century and was restored only partially. 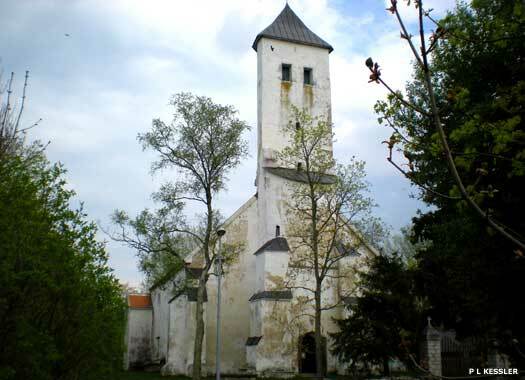 The fourteenth century bell is the oldest in the country while the pulpit was damaged in the Livonian Wars and replaced by Padise's lord of the manor, Thomas von Ramm, in 1630. The small St Olav's Chapel at Nõva became a chapel of ease for the Holy Cross church in 1653. Three photos on this page contributed by Annika Aun.